Beautifully furnished Economy Rooms are situated on the mezzanine floor. Each room features large windows with view over the lush gardens. 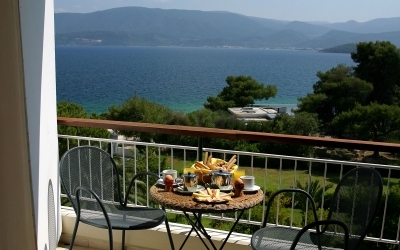 Situated on the higher floors, double and triple rooms are 17 m2, each room with balcony and side sea view. Some rooms are connected with an in between door, offering families the possibility to stay in large accommodation with rooms that both communicate and provide moments of privacy. 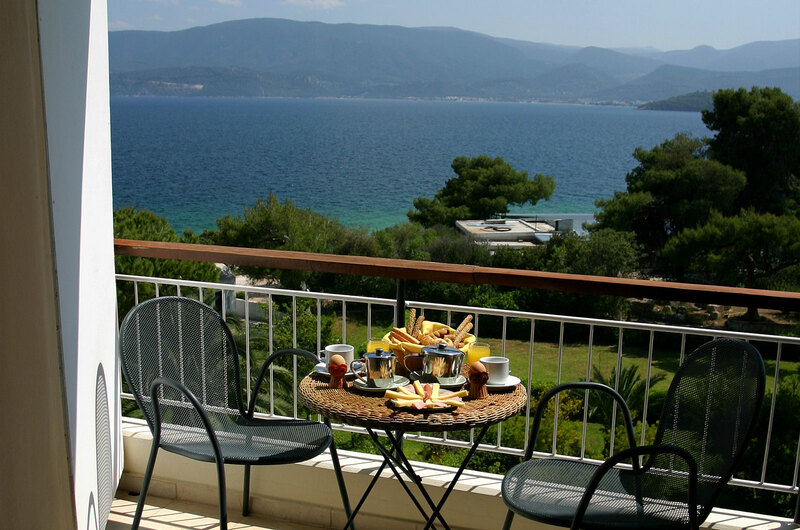 Contemporary facilities are included to offer you the most comfortable stay in the Peloponnese. 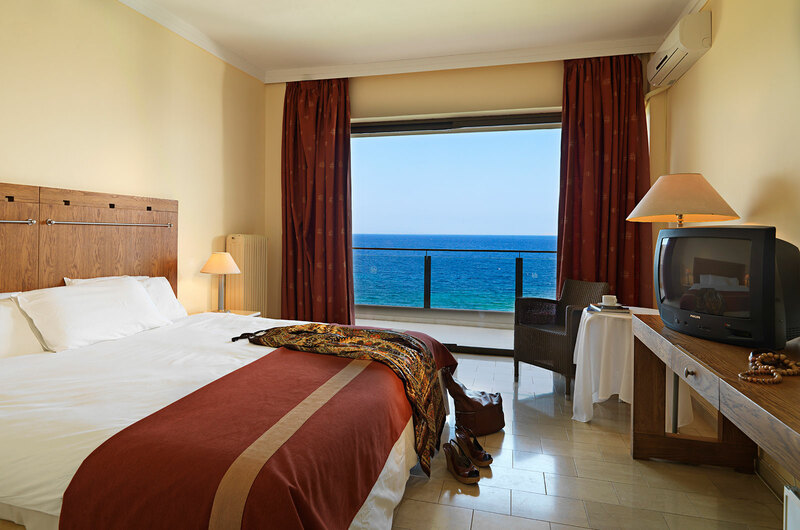 Situated on the higher floors, the double or triple rooms are 17 m2 , each room with balcony and front sea view. Carefully chosen amenities and upgraded rooms are provided to offer you the best hospitality and relaxing experience.